Unique style half round roof house plan architecture. 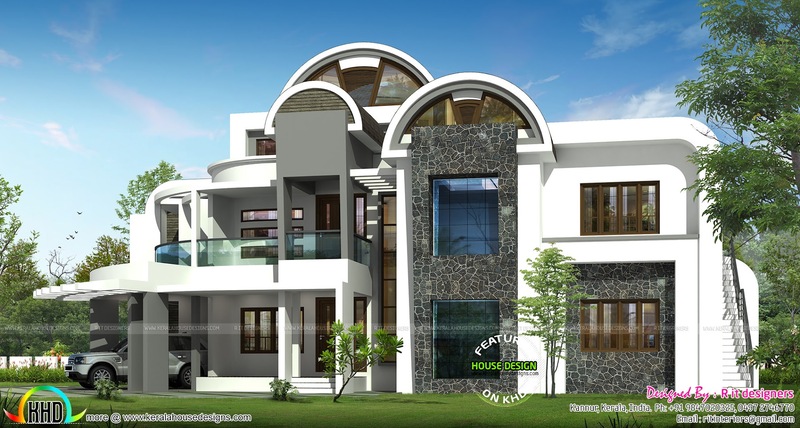 Total area of this 4 bedroom house is 3964 Square Feet (368 Square Meter) (440 Square Yards). Design provided by R it designers, Kannur, Kerala. Ground floor area : 2076.7 Sq.Ft. 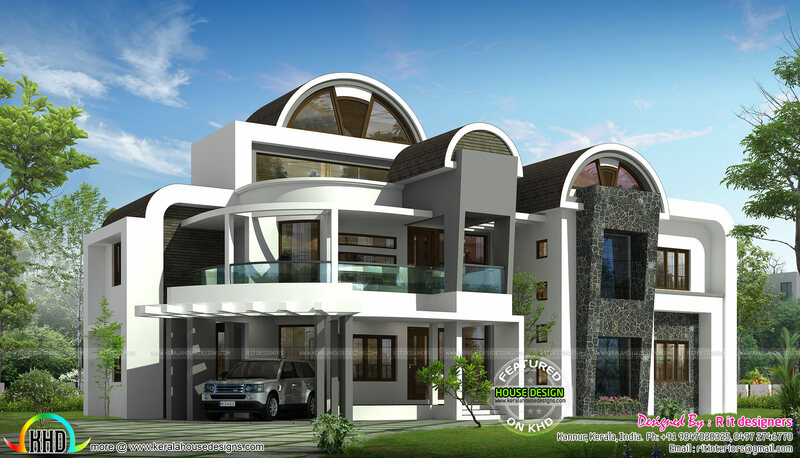 First floor area : 1676.7 Sq.Ft. Porch area : 211 Sq.Ft. Total area : 3964.4 Sq.Ft. 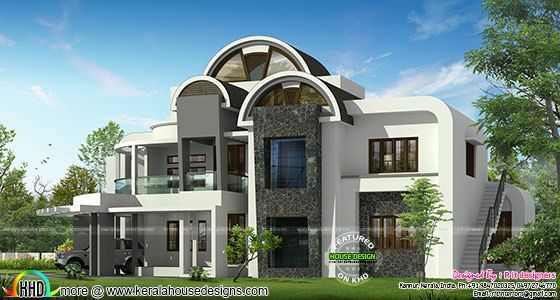 0 comments on "Half round roof unique house design"